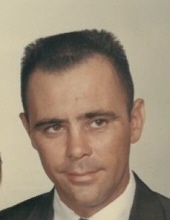 George Barry Bryant, 80, of Martinsville, VA passed away on Thursday, April 11, 2019. He was born on June 15, 1938 to the late Douglas Macon Bryant and Mayes Warner Bryant. In addition to his parents, he was preceded in death by his wife, Anne Montrief Bryant; and brother, Russell Macon Bryant. He is survived by his son, Steven “Steve” Douglas Bryant and wife Tealah of Ponte Vedra, FL; two grandchildren, Lindsay Anne Bryant and Lance Michael Bryant both of Ponte Vedra, FL; and two sisters, Susan Bryant Adkins of Christiansburg, VA and Anne Bryant Mostella of Eden, NC. A funeral service will be held at 3:00 p.m. on Saturday, April 13, 2019 at Norris Funeral Services, Martinsville Chapel with Reverend David Deisher officiating. Visitation will be from 1:30 p.m. to 3:00 p.m. prior to the service. Burial will be at Snow Creek Christian Church Cemetery in Martinsville, VA.
Norris Funeral Services, Inc. and Crematory, Martinsville, VA is serving the Bryant family. Online condolences may be made at www.norrisfuneral.com. To send flowers or a remembrance gift to the family of George Barry Bryant, please visit our Tribute Store. "Email Address" would like to share the life celebration of George Barry Bryant. Click on the "link" to go to share a favorite memory or leave a condolence message for the family.